Two videos, sorry they are bit late! This is a clip that the Sheikh (may Allah show him mercy) explains that the blessing of the month of the Prophet (peace and blessings of Allah be upon him) was individual for him. It was a month that wasn’t special to the Arabs and if he was born in months where other events had occurred this would mean he would follow that event. These are some excellent notes by Fazil Munir, jakallah khair. 'Islam and the New Millennium' - rather a grandiose subject for an essay, and one which, for Muslims, requires at least two caveats before we can even begin. Firstly, the New Millennium - the Year 2000 - is not our millennium. Regrettably, most Muslim countries nowadays use the Christian calendar devised by Pope Gregory the Great, and not a few are planning celebrations of some kind. Many confused and secularised people in Muslim countries are already expressing a good deal of excitement: in Turkey, there is even a weekly magazine called Iki Bin'e Dogru (Straight to 2000). This semi-hysteria should be of little interest to us: as Muslims we have our own calendar. The year 2000 will in fact begin during the year 1420 of the Hijra. So why notice the occasion at all? Isn't this just another example of annoying and irrelevant Western influence? The second, more imponderable reservation, concerns our ability to speak reliably about the future at all. In this paper I propose to speculate about the directions which Islam may take following the great and much-hyped anniversary. But the theological question is a sharp one: can we do this in a halal way? The future is in the ghayb, the Unseen; it is known only to Allah. And it may well be that the human race will not reach the year 2000 at all. Allah is quite capable of winding the whole show up before then. The hadith of Jibril describes how the angel came to the Prophet (Allah bless him and give him peace) asking when the Day of Judgement would come, and he only replied, 'The one questioned knows no more of it than the questioner.' But as the Holy Qur'an puts it, 'the very heavens are bursting with it.' It may well be tomorrow. Imam al-Suyuti allayed these fears by examining all the hadith he could find about the lifetime of this Umma. He wrote a short book which he called al-Kashf an mujawazat hadhihi al-umma al-Alf ('Proof that this Umma will survive the millenium'). He concluded that there was no evidence that the first millenium of Islam would end human history. But rather soberingly for our generation, he speculates that the hadiths at his disposal indicate that the signs which will usher in the return of Isa (a.s.), and the Antichrist (al-Masih al-Dajjal), are most likely to appear in the fifteenth Islamic century; in other words, our own. But all these speculations were submissive to the Imam's deep Islamic awareness that knowledge of the future is with Allah; and only Prophets can prophesy. What I shall be doing in the pages that follow, then, is not forecast, but extrapolate. Allah ta'ala is capable of changing the course of history utterly, through some natural disaster, or a series of disastrous wars. He can even end history for good. If that happens in the next three years, then my forecasts will be worthless. All I am doing is, in a sense, to talk about the present, inasmuch as present trends, uninterrupted by catastrophe, seem set to continue in the coming few years and decades. Another case in point was the controversy over printing. Until the eighteenth century a majority of ulema believed that printing was haram. A text, particularly one dealing with religion, was something numinous and holy, to be created slowly and lovingly through the traditional calligraphic and bookbinding crafts. A ready availability of identical books, the scholars thought, would cheapen Islamic learning, and also make students lazy about committing ideas and texts to memory. Further, it was thought that the process of stamping and pressing pages was disrespectful to texts which might contain the name of the Source of all being. It took a Hungarian convert to Islam, Ibrahim Muteferrika, to change all this. Muteferrika obtained the Ottoman Caliph's permission to print secular and scientific books, and in 1720 he opened Islam's first printing press in Istanbul. Muteferrika was a sincere convert, describing his background and religious beliefs in a book which he called Risale-yi Islamiyye. He was also very concerned with the technical and administrative backwardness of the Ottoman empire. Hence he wrote a book entitled Usul al-Hikam fi Nizam al-Umam, and published it himself in 1731. In this book he describes the governments and military systems prevailing in Europe, and told the Ottoman elite that independent Muslim states could only survive if they borrowed not only military technology, but also selectively from European styles of administration and scientific knowledge. Ibrahim Muteferrika's warnings about the rise of European civilisation were slowly heeded, and the Ottoman state set about the controversial business of modernizing itself, while attempting to preserve what was essential to its Islamic identity. Muteferrika's story reminds us that unless Muslims are conscious of the global trends of their age, they will continue to be losers. My own experience of Muslims has suggested that we are endlessly fascinated by short-term political issues, but are largely ignorant of the larger tendencies of which these issues are simply the passing manifestations. This ignorance can sometimes be astonishing. How many leaders in the Islamic world are really familiar with the ideas which underpin modernity? I have met some leaders of activist factions, and have been consistently shocked by their lack of knowledge. How many can even name the principal intellectual systems of our time? Structuralism, post-modernism, realism, analytic philosophy, critical theory, and all the rest are closed books to them. Instead they burble on about the 'International Zionist Masonic Conspiracy', or 'Baha'ism', or the 'New Crusader Invasion', or similar phantasms. If we want to understand why so many Islamic movements fail, we should perhaps begin by acknowledging that their leaders simply do not have the intellectual grasp of the modern world which is the precondition for successfully overcoming the obstacles to Islamic governance. A Muslim activist who does not understand the ideologies of modernism can hardly hope to overcome them. A no less lamentable ignorance prevails when it comes to non-ideological trends in the late twentieth century, and which are likely to prevail in the new millennium. And hence I make no apologies for discussing them in this paper. Like Ibrahim Mutefarrika three centuries ago, I am concerned to alert Muslims to the realities which are taking shape around them, and which are moulding a world in which their traditional discourse will have no application whatsoever. It is suicidal to assume that we will be insulated from these realities. Increasingly, we live in one world, thanks to a monoculturising process which is accelerating all the time. There is a mosque in Belfast now, and there is also a branch of MacDonalds in Mecca. We may be confident in our faith and assumptions, but what of many of our young people? What happens to the young Muslim student at an American university? He learns about post-modernism and post-structuralism, and that these are the ideologies of profound influence in the modern West. He asks the Islamic activist leaders how to disprove them, and of course they cannot. So he grows confused, and his confidence in Islam as a timeless truth is shaken. Under such conditions, only the less intelligent will remain Muslim: a filtering process which is already painfully evident in some activist circles. Here are some figures taken from D. Barrett's World Christian Encyclopedia, published by Oxford University Press in 1982. I will set them out in text rather than tabular form, in case the format does not survive Web downloading. In 1900, 26.9% of the world's population was Western Christian, while Islam accounted for 12.4%. In 1980 the figures were 30% and 16.5% respectively. The projection for 2000 is 29.9% and 19.2%. Percentages for other religions are fairly static, and since 1970 the total of atheists has, surprisingly perhaps, experienced a slow decline. "The percentage of Christians in the world peaked at about 30 percent in the 1980s, leveled off, is now declining, and will probably approximate about 25% of the world's population by 2025. As a result of their extremely high rates of population growth, the proportion of Muslims in the world will continue to increase dramatically, amounting to 20 percent of the world's population about the turn of the century, surpassing the number of Christians some years later, and probably accounting for about 30 percent of the world's population by 2025." It is not hard to see why this is happening. America and Europe have increasingly aging populations. In fact, one of the greatest social arguments of the new millennium will concern the proper means of disposing of the elderly. Medical advances ensure an average lifetime in the high seventies. However active lifetimes have not grown so fast. At the turn of the century, a Westerner could expect to spend an average of the last two years of life as an invalid. Today, the figure is seven years. As Ivan Illich has shown, medicine prolongs life, but does not prolong mobility nearly as well. These ageing populations with their healthcare costs are an increasing socio-economic burden. The UK Department of Health recently announced that a new prescription drug for Alzheimer's Disease is available on the National Health Service - but its cost means that it is only available to a selected minority of patients. In the West's population is top-heavy, that of Islam is the opposite. Today, more than half the population of Algeria, for example, is under the age of twenty, and the situation is comparable elsewhere. These young populations will reproduce, and perpetuate the percentage increase of Muslims well into the next millennium. This reminds us that the increase in the Muslim heartlands will have a significant impact in Muslim minority areas as well. In some countries, such as Tanzania and Macedonia, the Muslims will become a majority within twenty years. Largely through immigration, the Muslim population of the United States grew sixfold between 1972 and 1990. And even in countries where immigration has been suppressed, the growth continues. Last year, seven percent of babies born in European Union countries were Muslims. In Brussels, the figure was a staggering 57 percent. Islam is already the second religion of almost every European state - the only exceptions being those European countries such as Azerbaijan and Albania where it is the majority religion. If current trends continue, then an overall ten percent of European nationals will be Muslim by the year 2020. What is the significance of this global change? Does it in fact entail anything at all? After all, there is a famous hadith narrated by Abu Daud on the authority of Thawban, which says that the day will come when the Muslims will be numerous, but will be like froth and flotsam (ghutha') carried along by a flash-flood. It is true that sheer weight of numbers counts for much less today than it did, say, a couple of hundred years ago, when military victories depended as much on numbers as on technology. Napoleon could say that 'God is on the side of the larger battalions' - but nowadays, when huge numbers of soldiers can be eliminated by push-button weapons, this is no longer the case; a fact demonstrated by Saddam Hussein's hopeless and absurd defiance during the recent conflict over Gulf oil supplies. The rapid increase in Muslim numbers does, however, have important entailments. But for this, the UN would not have chosen Cairo, the world's largest Muslim city, as the site of its 1994 Population Conference. There is still some safety in numbers. But more significant than mere numbers is the psycho-dynamic of population profiles. Aging populations become introspective and flaccid. Young populations are more likely to be energetic, and encourage national political assertiveness. The next consideration has to be: will the bunker regimes survive? This is harder to comment upon, although many political scientists with an interest in the Islamic world have tried. Before the modern period, peasant revolts stood a good chance of success, because manpower could carry the day against the ruler's army. Today, however, advances in technology have made it possible for military regimes to survive indefinitely in the face of massive popular discontent. Spend enough money, and you can defeat even the most ingenious infiltrator or the most populous revolt. This technology is becoming cheaper, and is often supplied on a subsidised basis to the West's favoured clients in the Third World. Similarly, techniques of interrogation and torture are becoming far more refined, and have proved an effective weapon against underground movements in a variety of places. Let me give you an example. Last year's Amnesty International report explains that in January 1995, the US government licenced the export to Saudi Arabia of a range of security equipment including the so-called 'taser' guns. 'These guns shoot darts into a victim over a distance of up to five metres before a 40-50,000 volt shock is administered. These weapons are prohibited in many countries, including the UK. But what about the Internet? Isn't the Internet the ultimate freedom machine, allowing the pervasion of all types of dissent, from anywhere in the world, to anywhere in the world? I believe that as technology improves, including ever more massive surveillance systems, it seems quite likely that the regimes will be able to suppress any amount of dissent, on one condition - that it does not spread to the armed forces. The Shah fell because his army turned against him, not because of the protests on the streets. But in Algeria the revolution has been suppressed, largely because the radicals think they can overwhelm a modern state without support from the armed forces. The societies governed in this way are now experiencing severe traumas and cultural distortions. They are sometimes called 'pressure-cooker cultures'. The consequences for the human soul of being subjected to this kind of pressure are quite alarming, and already in the Muslim world we see manifestations of extreme behaviour which only a decade ago would have been unthinkable. This is not the context for providing full details of the problem of 'extremism', or what traditional Islam would call ghuluww. But it is clearly a growing feature of our religious landscape, and I will have to deal with it in passing. In early Islam the movement known as Kharijism fought against the khalifa Ali for the sake of a utopian and purist vision of Muslim society. Today, tragically, the Khawarij are with us once more. I have in mind incidents such as the 1994 shooting in Omdurman, when Wahhabi activists opened fire on Friday worshippers in the Ansar al-Sunna mosque, killing fourteen. Ironically, the mosque was itself Salafi, but followed a form of Wahhabism that the activists did not consider sufficiently extreme. as we do not declare an unbeliever any believer on account of a sin. The legitimation of differences in fiqh was rooted in the understanding of ijtihad. And differences in spiritualities were justified by the Sufis in terms of the idea that al-turuq ila'Llah bi'adadi anfas al-khala'iq ('there are as many paths to God as there are human breaths'). As Ibn al-Banna', the great Sufi poet of Saragossa expressed it, ibaraatuna shatta wa-husnuka wahidun, wa-kullun ila dhak al-jamali yushiru ('our expressions differ, but Your beauty is one, and all are pointing towards that Beauty'). Diversity has always been a characteristic of Islamic cultures. It was only medieval Christian cultures which strove to suppress it. However, there is a growing tendency nowadays among Muslims to favour totalitarian forms of Islam. 'Everyone who disagrees with me is a sinner, cries the young activist, 'and is going to hell'. Even in the UK, the takfir phenomenon is growing steadily. There are factions in our inner cities which believe that they are the only ones going to Heaven. 99% of people who call themselves Muslims are, in this distasteful insult to Allah's moral coherence, not Muslims at all. We can understand this psychic state more easily when we recognise that it exists universally. Not just in Islam, but in Christianity, Judaism, Hinduism and Buddhism, there is a conspicuous tendency towards factional excluvisism. In Christianity, one has to look no further than the Branch Davidians of David Koresh, 89 of whom died when their ranch in Texas was stormed by US troops three years ago. The Davidians believed that they were the sole true Christians - everyone else would burn in Hell. In Japan, even the usually peaceful religion of Buddhism has been re-formed by this tendency. In early 1995, the Aum Shinrikyo sect released Sarin nerve gas onto the Tokyo underground system, killing eleven people and sending 5,500 to hospital. Their guru, Shoko Asahara, had for ten years been preaching the need to overthrow the corrupt order in Japan, and transform the country into the true Shambala. As he said, 'Our sphere shall extend throughout the nation, and foster the development of thousands of right-believing people.' In his book From Destruction to Emptiness he explains that only those who believe in authentic, pristine Buddism as taught by Aum can expect to survive the corruption and destruction of the world. Non-Aum Buddhists are not true Buddhists at all. On the basis of this kind of takfir, he and his 12,000 followers bought a factory complex on the slopes of Mount Fuji, where they successfully manufactured nerve gas and the botulism virus. The sinners of Japan's un-Buddhist culture would be the first to suffer, they thought, but they also laid extensive plans for terrorist actions in North America. It is claimed that had the sect been allowed to operate for another six months, tens of thousands of people might have died from the sect's attacks in the United States, which was seen as the great non-Buddhist source of evil darkening the world. It is important to note the close parallels between Aum Shinryo-kyo and the modern takfir groups in the Middle East. The diagnosis is the same: the pure religion has been ignored or distorted by an elite, and the process has been masterminded by Americans. Hence the need to retreat and disown society - the idea of Takfir wa'l-Hijra that informed Shukri Mustafa's group in late 1970s Egypt. In secretive inner circles, the saved elect gather to plan military-style actions against the system. They are indifferent to the sufferings of civilians - for they are apostates and deserve death anyway. Such attacks will prefigure, in some rather vague and optimistic fashion, the coming to power of the true believers, and the suppression of all other interpretations of religion. This idea of takfir wa'l-hijra is thus, in structural terms, a global phenomenon. Its members are usually educated, almost always having science rather than arts backgrounds. Technology is not disowned, but sedulously cultivated. Bomb-making becomes a disciplined form of worship. The threat of neo-Khariji heresy is thus a real one. It will exist, however, against the backdrop of an even more worrying transformation. It is time now to look at the last of our three themes: the apparently disconnected subject of the degradation of the natural environment, one of the great neglected Islamic issues of our time - arguably even the most important of all. There is still inadequate awareness in Muslim circles of the great climatic calamity that is looming in the next millennium. But just consider some precursors of the catastrophe that have already come about. In the Sahel countries of Africa - Chad, Mali and Niger, which have over 90% Muslim populations, rainfall is declining by ten percent every decade. The huge Sahara Desert is becoming ever huger, as it overwhelms marginal pasture and arable land on its southern fringes. The disastrous drought which recently afflicted the Sudan ended with catastrophic floods. Any climatic map will show that agriculture in many Muslim countries is a marginal business. In Algeria, a further 15% decline in rainfall will eliminate most of the remaining farmland, sending further waves of migrants into the cities. A similar situation prevails in Morocco, where the worst drought in living memory ended only in 1995. The Yemen has suffered from the change in monsoon patterns in the Indian Ocean - another consequence of global warming. In Bangladesh the problem is not a shortage of water - it is too much of it. Floods are now normal every three or four years, largely because of deforestation in the Himalayas which limits soil retention of water. Are these developments on balance cause for optimism, or for disquiet? Well, we know that the Blessed Prophet (s) liked optimism. He also taught tawakkul - reliance upon Allah's good providence. However, he also taught that tying up our camels is a form of relying on Allah. So how should Muslims consider their options over the next few decades? All this has to change. In my travels in the Islamic world, I found tremendous enthusiasm for Islam among young people, and a no less tremendous disappointment with the leadership. The traditional ulema have the courtesy and moderation which we need, but lack a certain dynamism; the radical faction leaders have fallen into the egotistic trap of exclusivism and takfir; while the mainstream revivalist leaders, frankly, are often irrelevant. Both ponderous and slightly insecure, trapped by an 'ideological' vision of Islam, they do not understand the complexity of today's world - and our brighter young people see this soon enough. Institutions, therefore, urgently need to be established, to train young men and women both in traditional Shari'a disciplines, and in the cultural and intellectual language of today's world. Something like this has been done in the past: one thinks of the Nizamiyya madrasa in Baghdad where Ghazali taught, which encouraged knowledge not only of fiqh, but of philosophical theology in the Greek tradition. We need a new Ghazali today: a moderate, spiritually minded genius who can understand secular thought and refute it, not merely rant and rave about it. The creation of a relevant leadership is thus the first priority. The second has to be the evolution of styles of da'wa that can operate despite the frankly improbable task of toppling the bunker regimes. The FIS declared war on the Algerian state, and has achieved nothing apart from turning much of the country into a battleground. Unless the military can be suborned, there is no chance of victory in such situations. Egypt, Tunisia, Syria and the rest are similar cases. An alternative da'wa strategy already exists in a sense. In many of these countries, particularly in Egypt, the mainstream Ikhwan Muslimin operate a largescale welfare system, which serves to remind the masses of the superior ethical status of indigenous Islamic values. That model deserves to be expanded. But there is another option, which does not compete with it, but augments it. That is the model of da'wa activity to the West. New Muslims like myself are grateful to Allah for the ni'ma of Islam - but we cannot say that we are grateful to the Umma. Islam is in its theology and its historical practice a missionary faith - one of the great missionary faiths, along with Christianity and Buddhism. And yet while Christianity and Buddhism are today brilliantly organised for conversion, Islam has no such operation, at least to my knowledge. Ballighu anni wa-law aya ('Convey my message, even though a single verse') is a Prophetic commandment that binds us all. It is a fard ayn, and a fard kifaya - and we are disobeying it on both counts. Ten years ago a book appeared in France called D'Une foi l'autre, les conversions a l'Islam en Occident. The authors, both career journalists, carried out extensive interviews with new Muslims in Europe and America. Their conclusions are clear. Almost all educated converts to Islam come in through the door of Islamic spirituality. In the middle ages, the Sufi tariqas were the only effective engine of Islamisation in Muslim minority areas like Central Asia, India, black Africa and Java; and that pattern is maintained today. Why should this be the case? Well, any new Muslim can tell you the answer. Westerners are in the first instance seeking not a moral path, or a political ideology, or a sense of special identity - these being the three commodities on offer among the established Islamic movements. They lack one thing, and they know it - the spiritual life. Thus, handing the average educated Westerner a book by Sayyid Qutb, for instance, or Mawdudi, is likely to have no effect, and may even provoke a revulsion. But hand him or her a collection of Islamic spiritual poetry, and the reaction will be immediately more positive. It is an extraordinary fact that the best-selling religious poet in modern America is our very own Jalal al-Din Rumi. Despite the immeasurably different time and place of his origin, he outsells every Christian religious poet. Those who puzzle over the da'wa issue in the West generally refuse to take this on board. All too often they follow limited, ideological versions of Islam that are relevant only to their own cultural situation, and have no relevance to the problems of educated modern Westerners. We need to overcome this. We need to capitalise on the modern Western love of Islamic spirituality - and also of Islamic art and crafts. By doing so, we can reap a rich harvest, in sha' Allah. If the West is like a fortress, then we can approach it from its strongest place, by provoking it politically and militarily, as the absurd Saddam Hussein did; in which case we will bring yet more humiliation and destruction upon our people. Or we can find those areas of its defences which have become tumbledown and weak. Those are, essentially, areas of spirituality and aesthetics. Millions of young Westerners are dissatisfied both with the materialism of their world, and with the doctrines of Christianity, and are seeking refuge in New Age groups and cults. Those people should be natural recruits for Islam - and yet we ignore them. Similarly, and for the same constituency, we need to emphasise Islam's vibrant theological response to the problem of conservation. The Qur'an is the richest of all the world's scriptures in its emphasis on the beauty of nature as a theophany - a mazhar - of the Divine names. As we look around ourselves today at the chaos and disintegration of the Umma, we may ask whether such a possibility is credible. But we are living through times when the future is genuinely negotiable in an almost unprecedented way. Ideologies which formerly obstructed or persecuted Islam, like extreme Christianity, nationalism and Communism, are withering. Ernest Gellner, the Cambridge anthropologist has described Islam as 'the last religion' - the last in the sense of truly believing its scriptural narratives to be normative. If we have the confidence to believe that what we have inherited or chosen is indeed absolute truth, then optimism would seem quite reasonable. And I am optimistic. If Islam and the Muslims can keep their nerve, and not follow the secularising course mapped out for them by their rivals, or travel the blind alley of extremism, then they will indeed dominate the world, as once they did. And, we may I think quite reasonably hope, they will once again affirm without the ambiguity of worldly failure, the timeless and challenging words, wa kalimatuLlahi hiya al-ulya - 'and the word of God is supreme'. I want to talk about religion - our religion - and address the question of what exactly is going on when we speak about the prospects of a mutually helpful engagement between Islam and Western modernity. I propose to tackle this rather large question by invoking what I take to be the underlying issue in all religious talk, which is its ability both to propose and to resolve paradoxes. So we have a list of imponderables. 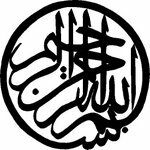 But to this list the specifically Islamic form of monotheism adds several additional items. The first of these items is what we call universalism, that is to say, that Islam does not limit itself to the upliftment of any given section of humanity, but rather announces a desire to transform the entire human family. This is, if you like, its Ishmaelite uniqueness: the religions that spring from Isaac (a.s.), are, in our understanding, an extension of Hebrew and Occidental particularity, while Islam is universal. Hagar, unlike Sarah, is half-Egyptian, half-Gentile, and it is she who goes forth into the Gentile world. Rembrandt’s famous picture of the expulsion of Hagar and Ishmael has Sarah mockingly peering out of a window. She is old, and stays at home; while Hagar is young, and looks, with her son, towards limitless horizons. It is our confidence, moreover, that this triumphant demonstration of Islam’s universalism has not come to an end. Perhaps the greatest single issue exercising the world today is the following: is the engagement of Islamic monotheism with the new capitalist global reality a challenge that even Islam, with its proven ability to square circles, cannot manage? As Muslims, of course, we believe that every culture, including the culture of modern consumer liberalism, stands accountable before the claims of revelation. There must, therefore, be a mode of behaviour that modernity can adopt that can be meaningfully termed Islamic, without entailing its transformation into a monochrome Arabness. This is a consequence of our universalist assumptions, but it is also an extension of our triumphalism, and our belief that the divine purposes can be read in history. Wa-kalimatu’Llahi hiya’l-‘ulya - God’s word is uppermost. (9:40) The current agreement between zealots on both sides - Islamic and unbelieving - that Islam and Western modernity can have no conversation, and cannot inhabit each other, seems difficult given traditional Islamic assurances about the universal potential of revelation. The increasing number of individuals who identify themselves as entirely Western, and entirely Muslim, demonstrate that the arguments against the continued ability of Islam to be inclusively universal are simply false. Yet the question, the big new Eastern Question, will not go away this easily. Palpably, there are millions of Muslims who are at ease somewhere within the spectrum of the diverse possibilities of Westernness. We need, however, a theory to match this practice. Is the accommodation real? What is the theological or fiqh status of this claim to an overlap? Can Islam really square this biggest of all historical circles, or must it now fail, and retreat into impoverished and hostile marginality, as history passes it by? Let us refine this question by asking what, exactly, is the case against Islam’s contemporary claim to universal relevance? Some of the most frank arguments have come from right-wing European politicians, as part of their campaign to reduce Muslim immigration to Europe. This has, of course, become a prime political issue in the European Union, a local extension of a currently global argument. I take the case of the Netherlands because it was, until very recently, a model of liberalism and multiculturalism. Indeed, modern conceptions of religious toleration may be said to have originated among Dutch intellectuals. Without wishing to sound the alarm, it is evident that if Holland can adopt an implicitly inquisitorial attitude to Islam, there is no reason why other states should not do likewise. But again, the question has not been answered. Fortuyn, a highly-educated and liberal Islamophobe, was convinced that Islam cannot square the circle. He would say that the past genius of Islam in adapting itself to cultures from Senegal to Sumatra cannot be extended into our era, because the rules of that game no longer apply. Success today demands membership of a global reality, which means signing up to the terms of its philosophy. The alternative is poverty, failure, and - just possibly - the B52s. How should Islam answer this charge? The answer is, of course, that ‘Islam’ can’t. The religion’s strength stems in large degree from its internal diversity. Different readings of the scriptures attract different species of humanity. There will be no unified Islamic voice answering Fortuyn’s interrogation. The more useful question is: who should answer the charge? What sort of Muslim is best equipped to speak for us, and to defeat his logic? Fortuyn’s error was to impose a Christian squint on Islam. As a practising Catholic, he imported assumptions about the nature of religious authority that ignore the multi-centred reality of Islam. On doctrine, we try to be united - but he is not interested in our doctrine. On fiqh, we are substantially diverse. Even in the medieval period, one of the great moral and methodological triumphs of the Muslim mind was the confidence that a variety of madhhabs could conflict formally, but could all be acceptable to God. In fact, we could propose as the key distinction between a great religion and a sect the ability of the former to accommodate and respect substantial diversity. Fortuyn, and other European politicians, seek to build a new Iron Curtain between Islam and Christendom, on the assumption that Islam is an ideology functionally akin to communism, or to the traditional churches of Europe. There are, of course, significant oversimplications in this analysis. There are some individuals in the new movements who do have a substantial grounding in Islamic studies. And the juxtaposition of ‘political’ and ‘Islam’ will always be redundant, given that the Islamic, Ishmaelite message is inherently liberative, and hence militantly opposed to oppression. Nonetheless, the irony remains. We are represented by the unrepresentative, and the West sees in us a mirror image of its less attractive potentialities. Western Muslim theologians such as myself frequently point out that the movements which seek to represent Islam globally, or in Western minority situations, are typically movements which arose as reactions against Western political hegemony that themselves internalised substantial aspects of Western political method. In Europe, Muslim community leaders who are called upon to justify Islam in the face of recent terrorist activities are ironically often individuals who subscribe to ideologised forms of Islam which adopt dimensions of Western modernity in order to secure an anti-Western profile. It is no surprise that such leaders arouse the suspicion of the likes of Pim Fortuyn, or, indeed, a remarkably wide spectrum of commentators across the political spectrum. Islam’s universalism, however, is not well-represented by the advocates of movement Islam. Islamic universalism is represented by the great bulk of ordinary mosque-going Muslims who around the world live out different degrees of accommodation with the local and global reality. One could argue, against Fortuyn, that Muslim communities are far more open to the West than vice-versa, and know far more about it. Muslims return from the mosques in Cairo in time for the latest American soaps. There is no equivalent desire in the West to learn from and integrate into other cultures. On the ground, the West is keener to export than to import, to shape, rather than be shaped. As such, its universalism can seem imperial and hierarchical, driven by corporations and strategic imperatives that owe nothing whatsoever to non-Western cultures, and acknowledge their existence only where they might turn out to be obstacles. Likewise, Westerners, when they settle outside their cultural area, almost never assimilate to the culture which newly surrounds them. Islam, we will therefore insist, is more flexible than the West. Where they are intelligently applied, our laws and customs, mediated through the due instruments of ijtihad, have been reshaped substantially by encounter with the Western juggernaut, through faculties such as the concern for public interest, or urf - customary legislation. Western law and society, by contrast, have not admitted significant emendation at the hands of another culture for many centuries. From our perspective, then, it can seem that it is the West, not the Islamic world, which stands in need of reform in a more pluralistic direction. It claims to be open, while we are closed, but in reality, on the ground, seems closed, while we have been open. I think there is force to this defence. But does it help us answer the insistent question of Mr Fortuyn? Do we have to pass through his laundromat to be made internally white, as it were, to have an authentic and honoured place of belonging at the table of the modern reality? Historians would probably argue that since history cannot repeat itself, the demand that Islam experience an Enlightenment is strange, and that if the task be attempted, it cannot remotely guarantee an outcome analogous to that experienced by Europe. If honest and erudite enough, they may also recognise that the Enlightenment possibilities in Europe were themselves the consequence of a Renaissance humanism which was triggered not by an internal European or Christian logic, but by the encounter with Islamic thought, and particularly the Islamised version of Aristotle which, via Ibn Rushd, took fourteenth-century Italy by storm. The stress on the individual, the reluctance to establish clerical hierarchies which hold sway over earthly kingdoms, the generalised dislike of superstition, the slowness to persecute for the sake of credal difference: all these may well be European transformations that were eased, or even enabled, by the transfusion of a certain kind of Muslim wisdom from Spain. Nonetheless, it is clear that the Christian and Jewish Enlightenments of the eighteenth century did not move Europe in a religious, still less an Islamic direction. Instead, they moved outside the Moorish paradigm to produce a disenchantment, a desacralising of the world which opened the gates for two enormous transformations in human experience. One of these has been the subjugation of nature to the will (or more usually the lower desires) of man. The consequences for the environment, and even for the sustainable habitability of our planet, are looking increasingly disturbing. There is certainly an oddness about the Western desire to convert the Third World to a high-consumption market economy, when it is certain that if the world were to reach American levels of fossil-fuel consumption, global warming would soon render the planet entirely uninhabitable. The West is loath to refer to this possibility in its makeup, as it urges, in Messianic fashion, its pattern of life upon the world. It believes that Srebrenica, or Mr Fortuyn, are aberrations, not a recurrent possibility. Muslims, however, surely have the right to express deep unease about the demand to submit to an Enlightenment project that seems to have produced so much darkness as well as light. Iqbal, identifying himself with the character Zinda-Rud in his Javid-name, declaims, to consummate the final moment of his own version of the Mi‘raj: Inghelab-i Rus u Alman dide am: ‘I have seen the revolutions of Russia and of Germany!’  This in a great, final crying-out to God. We European Muslims, born already amid the ambiguities of the Enlightenment, have also wrestled with this legacy. Alija Izetbegovic, the former Bosnian president, has discussed the relationship in his book Between East and West. A lesser-known voice has been that of the Swedish theologian Tage Lindbom, who died three years ago. Lindbom is particularly important to European Muslim thought because of his own personal journey. A founder member of the Swedish Social Democratic Party, and one of the major theorists of the Swedish welfare state, Lindbom experienced an almost Ghazalian crisis of doubt, and repented of his Enlightenment ideology in favour of a kind of Islamic traditionalism. In 1962 he published his book The Windmills of Sancho Panza, which generated enough of a scandal to force him from his job, and he composed the remainder of his twenty-odd books in retirement. For Lindbom, the liberation promised by the Enlightenment did not only lead to the explicit totalitarianisms which ruined most of Europe for much of the twentieth century, but also to an implicit, hidden totalitarianism, which is hardly less dangerous to human freedom. We are now increasingly slaves to the self, via the market, and the endlessly proliferating desires and lifestyles which we take to be the result of our free choice are in fact designed for us by corporation executives and media moguls. These are troubled waters, and perhaps will carry us too far from our purpose in this lecture. Let me, however, offer a few reflections on what our prospects might look like if we excuse ourselves the duty of spinning in Mr Fortuyn’s machine. Islam, as I rather conventionally observed a few minutes ago, speaks with many voices. Fortuyn, and the new groundswell of educated Western Islamophobia, have heard only a few of them, hearkening as they do to the totalitarian and the extreme. Iqbal, I would suggest, and Altaf Gauhar, represent a very different tradition. It is a tradition which insists that Islam is only itself when it recognises that authenticity arises from recognising the versatility of classical Islam, rather than taking any single reading of the scriptures as uniquely true. Ijtihad, after all, is scarcely a modern invention. In other words, to use my own idiom, it must square the circle to be dynamic. The immutable Law, to be alive, even to be itself, must engage with the mill-wheel of the transient. We do indeed need a bi-focal ability. It is, after all, a quality of the Antichrist that he sees with only one eye. An age of decadence, whether or not framed by an Enlightenment, is an age of extremes, and the twentieth century was, in Eric Hobsbawm’s phrase, precisely that. Islam has been Westernised enough, it sometimes appears, to have joined that logic. We are either neutralised by a supposedly benign Islamic liberalism that in practice allows nothing distinctively Islamic to leave the home or the mosque - an Enlightenment-style privatisation of religion that abandons the world to the morality of the market leaders and the demagogues. Or we fall back into the sensual embrace of extremism, justifying our refusal to deal with the real world by dismissing it as absolute evil, as kufr, unworthy of serious attention, which will disappear if we curse it enough. Traditional Islam, as is scripturally evident, cannot sanction either policy. Extremism, however, has been probably the more damaging of the two. Al-Bukhari and Muslim both narrate from A’isha, (r.a.), the hadith that runs: ‘Allah loves kindness is all matters.’ Imam Muslim also narrates from Ibn Mas‘ud, (r.a.), that the Prophet (salla’Llahu ‘alayhi wa-sallam) said: ‘Extremists shall perish’ (halaka’l-mutanatti‘un). Commenting on this, Imam al-Nawawi defines extremists as ‘fanatical zealots’ (al-muta‘ammiqun al-ghalun), who are simply ‘too intense’ (al-mushaddidun). Revelation, as always, requires the middle way. Extremism, in any case, never succeeds even on its own terms. It usually repels more people from religion than it holds within it. Attempts to reject all of global modernity simply cannot succeed, and have not succeeded anywhere. A more sane policy, albeit a more courageous, complex and nuanced one, has to be the introduction of Islam as a prophetic, dissenting witness within the reality of the modern world. But why are we bound to keep our word? Why need we respect the moral law? Religion seems to answer this far more convincingly than any secular ethic. In spite of all stereotypes, the degree of violence in the Muslim world remains far less than that of Western lands governed by the hope of a persuasive secular social contract. Perhaps this is inevitable: the Enlightenment was, after all, nothing but the end of the Delphic principle that to know the world we must know and refine and uplift ourselves. Before Descartes, Locke and Hume, all the world had taken spirituality to be the precondition of philosophical knowing. Without love, self-discipline, and care for others, that is to say, without a transformation of the human subject, there could be no knowledge at all. The Enlightenment, however, as Descartes foresaw, would propose that the mind is already self-sufficient and that moral and spiritual growth are not preconditions for intellectual eminence, so that they might function to shape the nature of its influence upon society. Not only is the precondition of the transformation of the subject repudiated, but the classical idea, shared by the religions and the Greeks, that access to truth itself brings about a personal transformation, is dethroned just as insistently. Relationality is disposable, and the laundromat turns out to be a centrifuge. Religion offers a solution to this fatal weakness. Applied with wisdom, it provides a fully adequate reason for virtue and an ability to produce cultural and political leaders who embody it themselves. Of course, it is all too often applied improperly, and there is something of the Promethean arrogance and hubris of the philosophes in the radical insistence that the human subject be enthroned in authority over scriptural interpretation, without a due prelude of initiation, love, and self-naughting. Yet the failure of the Enlightenment paradigm, as invoked by the secular elites in the Muslim world, to deliver moral and efficient government and cultural guidance, indicates that the solution must be religious. Religious aberrations do not discredit the principle they aberrantly affirm. What manner of Islam may most safely undertake this task? It is no accident that the overwhelming majority of Western Muslim thinkers, including Lindbom himself, have been drawn into the religion by the appeal of Sufism. To us, the ideological redefinitions of Islam are hardly more impressive than they are to the many European xenophobes who take them as normative. We need a form of religion that elegantly and persuasively squares the circle, rather than insisting on a conflictual model that is unlikely to damage the West as much as Islam. A purely non-spiritual reading of Islam, lacking the vertical dimension, tends to produce only liberals or zealots; and both have proved irrelevant to our needs. The most recurrent theme of Islamic architecture has been the dome surmounting the cube. Between the two there are complex arrangements of arabesques and pendentives. Religion is worth having because, drawing on the infinite and miraculous power of God, it can turn a circle into a square in a way that delights the eye. Through logic and definition the theologian seeks to show how the infinite engages with the finite. Imam al-Ghazali, and our tradition generally, came to the conclusion that the Sufi does the job more elegantly, while not putting the theologian out of a job. But Sufism also, as Iqbal and the consensus of Muslim theologians in the West have seen, demonstrates other virtues. Because it has been the instrument whereby Islam has been embedded in the divergent cultures of the rainbow that is the traditional Islamic world, we may suppose that it represents the best instrument available for attempting a ‘dissenting’ Muslim embedding within today’s inexorable global reality. It insists on the acquisition of compassion and wisdom as a precondition for the exercise of ijtihad, or of any other mode of knowing. Its emphasis on the potential grandeur of man’s condition, of the one who was ‘taught all the Names’, makes it more humane than any secular humanism. In short, its recognition of the limitations of rational attempts to square the circle of speaking of the metaphysical and in justifying virtue, can bring us to real, rather than illusory, enlightenment, to a true ishraq. This is because there is only one ‘Light of the heavens and the earth.’ (24:35) Seeking truth in the many, while ignoring the One, is the cardinal, Luciferian error. Its consequences for recent human history have already been tragic. Its prospects, as it yields more and more methods of destruction, and fewer and fewer arguments for a universal morality, are surely unnerving. Genetic engineering now threatens to redefine our very humanity, precisely that principle which the Enlightenment found to be the basis of truth. In such a world, religion, for all its failings, is likely to be the only force which can genuinely reconnect us with our humanity, and with our fellow men. 2. The view is expounded most forcefully in his recent Beyond Belief: Islamic Excursions among the Converted Peoples (London, 1998). For a refutation see T.J. Winter, ‘Some thoughts on the formation of British Muslim identity’, Encounters 8:1 (2002), 3-26. 3. Persian Psalms (Zabur-i ‘Ajam), translated into English verse from the Persian of the late Sir Muhammad Iqbal by Arthur J. Arberry. (Lahore, 1948), 8. 4. The defining demand of the Reformation was the return to the most literal meaning of Scripture. Hence Calvin: ‘Let us know, then, that the true meaning of Scripture is the natural and simple one, and let us embrace and hold it resolutely. Let us not merely neglect as doubtful, but boldly set aside as deadly corruptions, those pretended expositions which lead us away from the literal sense.’ (John Calvin, The Epistles of Paul to the Galatians, Ephesians, Philippians and Colossians (Edinburgh, 1965), 84-5. Is this what the West is demanding of us? That a Muslim state should, in consequence, be a ‘city of glass’, like Calvin’s terrified Geneva? 5. Cited in Angus Roxburgh, Preachers of Hate: The Rise of the Far Right. (London, 2002), 163. 6. Roxburgh, 160, 169, 174. 7. The Independent July 28, 2002. 8. Peter Ochs, ‘The God of Jews and Christians’, in Tikva Frymer-Kensky et al., Christianity in Jewish Terms (Boulder and Oxford, 2000), 54. 9. Irving Greenberg, ‘Judaism, Christianity and Partnership after the Twentieth Century’, in Frymer-Kensky, op. cit., 26. 10. Iqbal, Javid-Nama, translated from the Persian with introduction and notes, by Arthur J. Arberry (London, 1966), 140. 11. Tage Lindbom, The Myth of Democracy (Grand Rapids, 1996), 18. 13. The implications of the collapse of Enlightenment reason for theology have been sketched out by George Lindbeck in his The Nature of Doctrine: religion and theology in a postliberal age (London, 1984), and (for a more Islamic turn, because explicitly resistant to those Renaissance-Aristotelian confidences of Suarez which took Thomism so far from kalam) in the several works of Jean-Luc Marion. The Ash‘arite resonances are clear enough: discourse is self-referential unless penetrated by the Word. 14. Iqbal, Reconstruction of Religious Thought in Islam, cited in Allahbakhsh Brohi, Iqbal and the Concept of Islamic Socialism (Lahore, 1967), 7. 15. Brohi, op. cit., 7. 16. David Hume, Essays (Oxford, 1963), 469. 17. For example, the 2002 World Health Organisation document World Report on Violence and Health, shows the murder rate in the Eastern Mediterranean region to be less than half the rate for the Americas. See http://www5.who.int/violence_injury_prevention/download.cfm?id=0000000559, page 7. Let it be known, that sins of the students will cause him nothing but grief. He will lose knowledge that he has and will lose what he didn't know he had. Avoid sin like it is a raging fire in your house, move away slowly and then don't look at it, don't even think about it. Do not give in at any cost, you will lose more than you could imagine. Don't see any sin as small or minor see them all as major sins, repent and keep repenting until you leave it. When you have left it then thank Allah subhanu wa ta'ala, for keeping you safe. If your heart inclines to sin, fight it, do something else. Go outside if you are in and go inside if you are out. Seek forgiveness straight away when you your heart inclines to sin, straight away on the first glance. Know that the longer that you are sinning the more you are holding yourself back. Do not hold yourself back, you only lose when you commit sins. Remember that knowledge will not be deposited in a dirty place nor in a place undeserving. Those who claim to know will only be able to repeat, they will not be able to add, neither will they have a good effect on the people around them. For others this may be leading them away from Allah subhanu wa ta'ala and becomes a proof against them.